In order to maximize safety on state roads and highways, Virginia law makes it unlawful to engage in careless or reckless driving. Virginia’s overarching definition of reckless driving includes any driving conduct that could result in harm to a person or damage to property. In addition to the general definition, Virginia law also addresses a number of specific driving behaviors that also qualify as reckless driving. A recent Simms Showers blog post — 7 Types of Reckless Driving in Virginia — explored a number of those variations. Today’s blog entry will examine five additional variations of reckless driving in Virginia. Bring their vehicle to a complete stop. If a driver fails to use their signals properly when executing any of the actions above, then it may qualify as reckless driving. As detailed in Code of Virginia Section 46.2-861, drivers must maintain a reasonable speed when operating a motor vehicle. Regardless of the legal speed limit, all drivers must operate their vehicles at a reasonable speed — based on the circumstances and traffic conditions on the roads. If a person drives at an unreasonable speed, it may qualify as reckless driving. Driving more than 80 miles per hour, regardless of the legal speed limit. 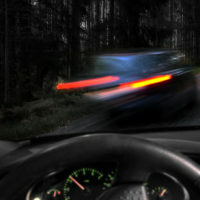 If a driver violates the excessive speeding regulations above, it may qualify as reckless driving. As highlighted in Code of Virginia Section 46.2-863, drivers are required to yield the right-of-way to other vehicles in certain circumstances. Specifically, Section 46.2-863 compels drivers to stop their vehicles before entering a highway from a side road. Highways that are under construction or otherwise closed to the public. If you have legal questions about reckless driving in Virginia, it is advantageous to speak with a proficient criminal defense attorney. The attorneys at Simms Showers LLP, servicing Leesburg, Winchester, Fairfax, and Manassas, have handled many criminal defense matters across Virginia, including reckless driving. If you need legal help with criminal defense, contact us today for a free initial consultation.